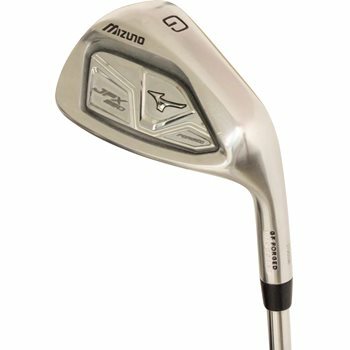 • Grain Flow Forged 1025 BORON is a 30 percent stronger material than carbon steel, allowing for a thinner face and longer distance while delivering soft, solid, consistent feel. • Power Frame construction enables the entire face to flex for increased ball speeds and distance. • Ultra CNC Milled Pocket behind the clubface produces a higher launch angle and increased ball speeds in 4 through 7 irons.